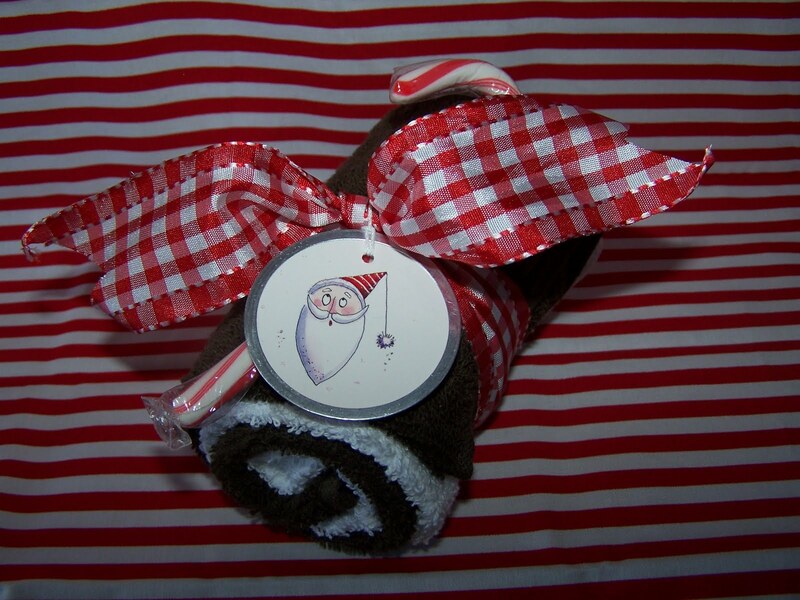 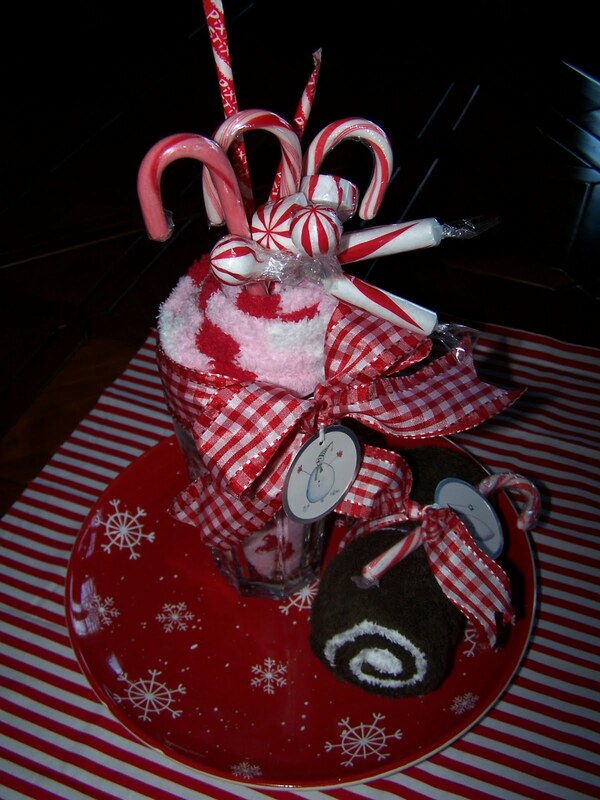 Doobie's Doings: Christmas "Sweet Treats"
Fuzzy socks, Christmas hat, scarf or anything that can be rolled with the looks of Ice Cream! 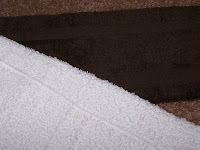 I used a scarf in my blizzard. I rolled it and puffed up the top to a tip. 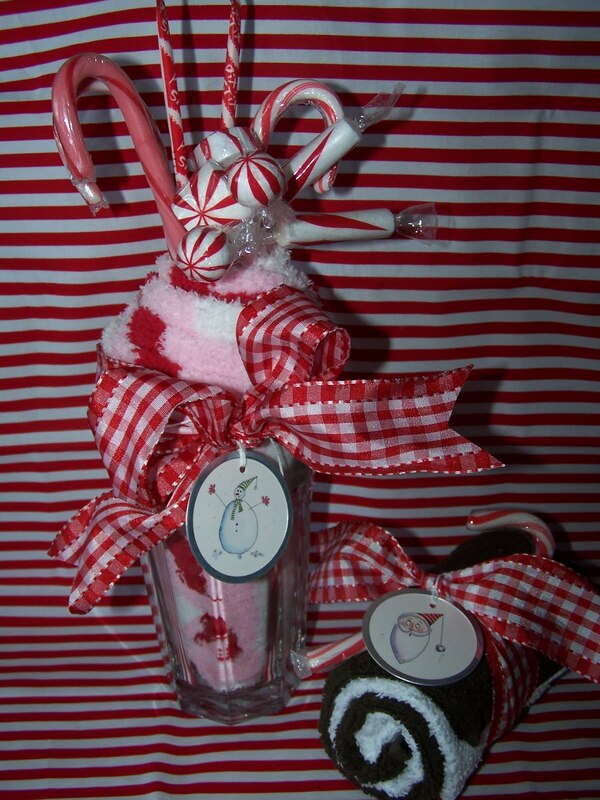 I added candy canes, pixie sticks and Christmas candy pick. 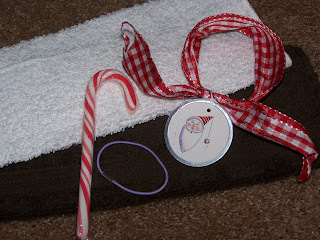 Tie a ribbon, add a tag and welcome Christmas Smiles! 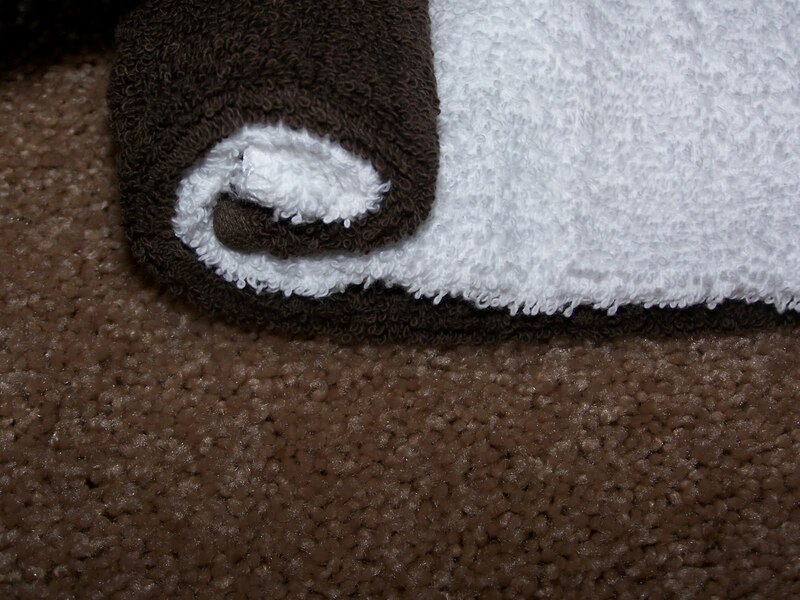 Recipe: Take one white and brown wash cloth. 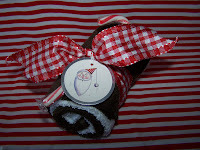 Fold each washcloth to the middle, roll the two washcloths together. 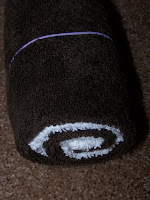 Place elastic around the folded wash cloths to keep in place. Next, add candy cane, ribbon and Christmas tag. 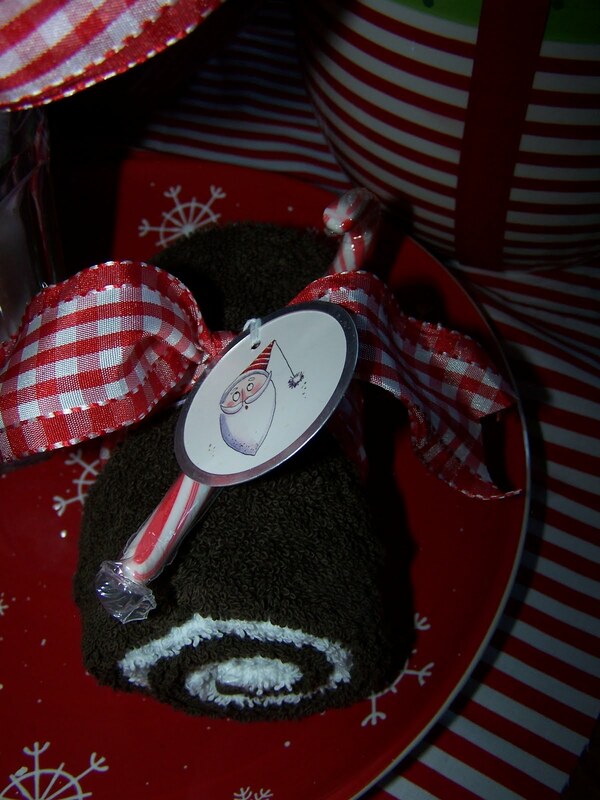 Enjoy your Swiss Cake Roll with your Christmas Blizzard!